There are 24 companies listed in our Truck Repair category for Sacramento. This page shows listings 1 to 20. 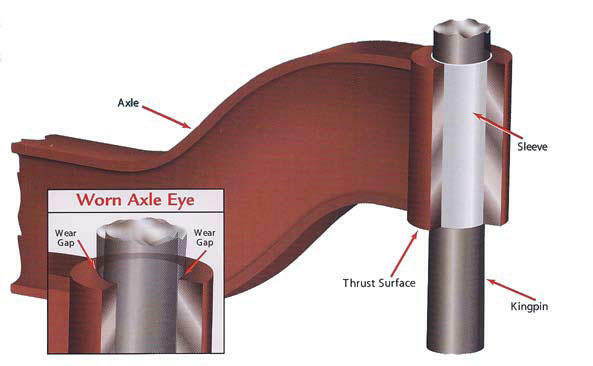 Exclusive axle eye repair process since 1972! sleeving procedures, are completed in only hours. The repair of the axle eye is essential for proper king pin fit. The inclination angle is restored, and the axle eye is repaired to better than factory specs. The typical axle eye repair is completed in our shop or yours. We respond quickly, completing the repair in only hours. While it is not necessary to remove the axle from the truck, axle repairs can be completed on loose I-beams as well. Many king pin jobs require the axle eye to be sleeved and serviced. Axle Surgeons™ of Northern California offers this service featuring AXLE DOCTORS® patented steer axle sleeving system. Axle eyes are machine bored with 100% accuracy and without the removal of the axle itself. Work is completed on-site, on your vehicle. We do not sublet these services. Our sleeves are only .050 (fifty thousandths) wall thickness. This ensures original axle integrity with minimal materials removed. Better than factory tolerances are achieved upon completion of this process, giving you peace of mind for the long haul ahead. From small ¾ ton pick-up trucks, to the largest farm machinery and over the road trucks, repairing damaged axles is all we do. Our patented drive axle boring machines have been time tested and proven to be the most reliable axle spindle repair process in the world. Damaged drive axle spindles are removed from the housing and replaced with high quality steel, made only in the U.S.A. 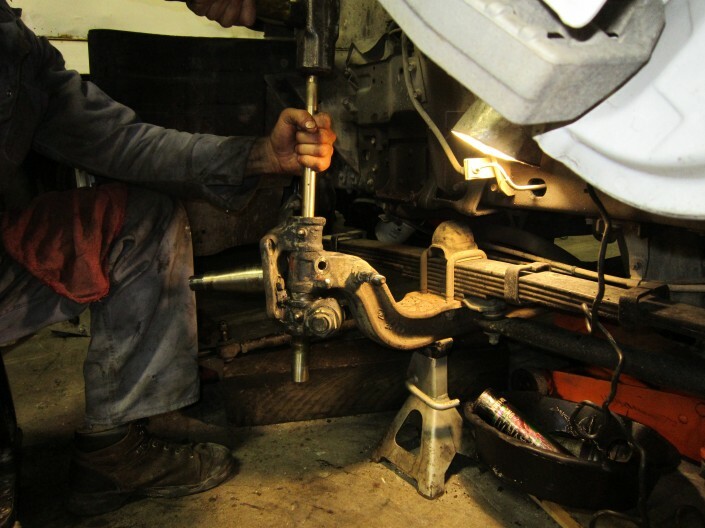 The most common drive axle repair will be completed in hours by our qualified technicians. You can rest assured that the most competent and qualified axle spindle repair processes are what makes Axle Surgeons™ the most respected company in the industry. Brake spiders can become damaged over time, resulting in loose anchor pins or worn s-cam bushings. Axle Surgeons™ brake spider plate repair service can repair these damaged axles as well. Complete removal of the brake spider and installation of a new spider plate is achieved using patented processes and industry approved methods. Brake spider failure can cause brake shoes to malfunction and s-cam failure. We can have you back on the road in only a few hours with our patented processes and brake spider plate repair procedures. From small torsion axles, to the largest semi-trailers on the road, Axle Surgeons™ patented trailer axle repair service, will have you back on the road in only a few hours. Damaged spindles are removed, and replaced with our custom made and patented spindles. These axle repair parts are all made of high quality steel, made only in the U.S.A. The typical trailer axle repair service will be completed in only hours, by one of our qualified technicians. Axle Surgeons™ has 30 plus years in quality axle repair procedures and methods. Axle Surgeons™ of Northern California offers complete king pin repair service or replacement from start to finish. No short cuts. We can completely disassemble your hub and wheel end assembly. Work completed in hours instead of days, even when additional axle eye or knuckle problems arise. ALL knuckles and axle eyes are measured for proper tolerances. Our technicians have been specializing in king pin replacement since 1993. Mobile service is available.